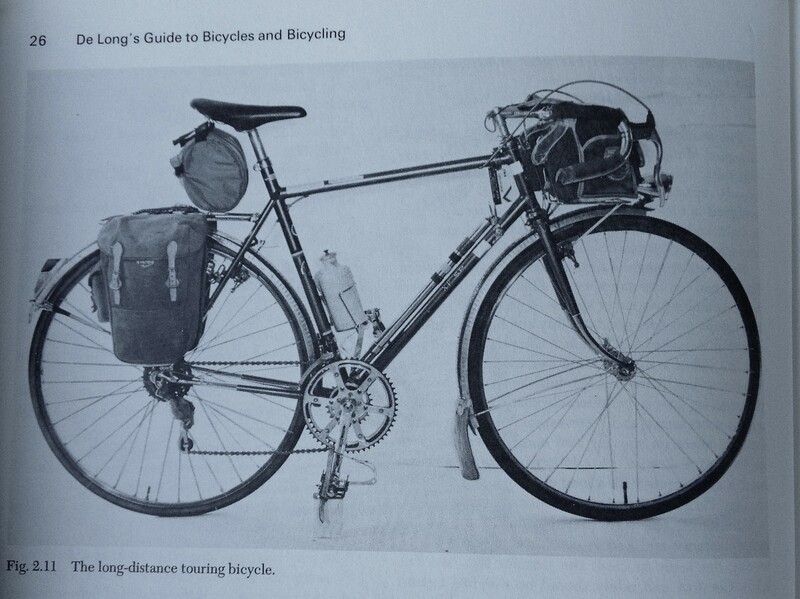 1974 Touring Bicycle with fillet brazed joints – Photo credit – DeLong’s Guide to Bicycles & Bicycling. In 1974 I was a high school senior, soon to graduate. I often rode to classes on my 5 speed derailleur bicycle, and that involved a number of steep hills, some of which I dismounted to ascend. The bike I rode seemed incredibly incompetent, heavy, and badly geared. At that time, I knew nothing about lightweight steel tubing, expertly brazed and filed lugs, and quality components. I was riding the bike my parents purchased for me, after much goading on my part. I can’t even remember if my 5 speed was a Sears or a Schwinn, but I think it was the former. All I knew then was that I loved to ride bicycles, and wanted to be on my bike whenever possible. My parents did their best to accommodate this odd request coming from their middle child – a daughter no less. Upon graduation, my parents presented me with a beautiful blue Volkscycle. I was in heaven, as this was the nicest bike I had ever ridden. 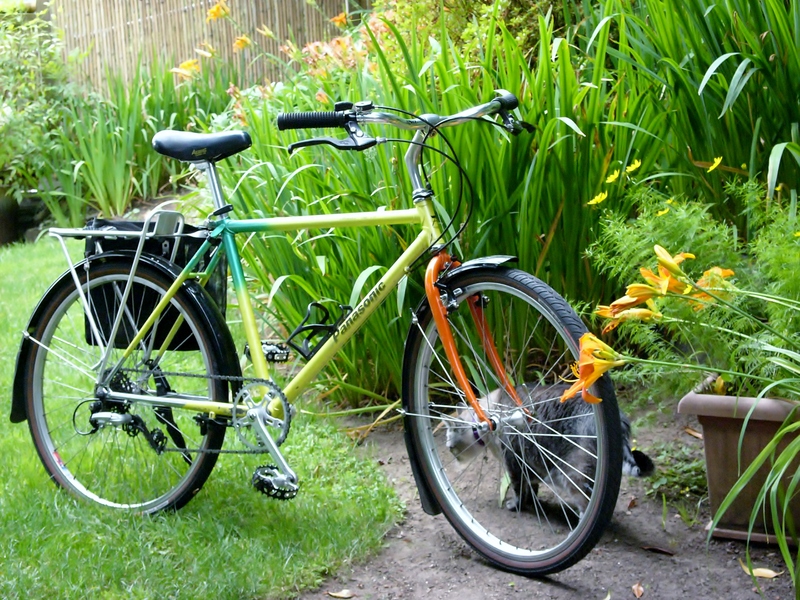 After riding this bike in my college days in the late 70’s, I took a hiatus from school, and moved to the Oregon coast. That was when my cycling energy surged. 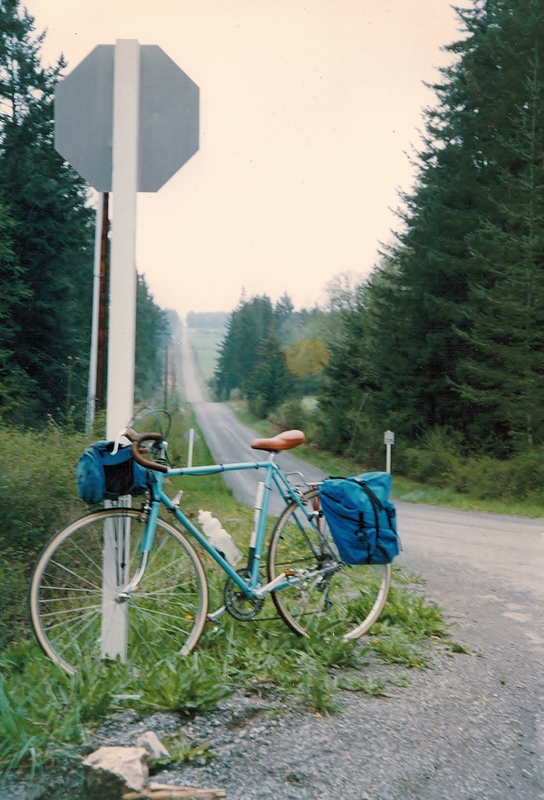 Every Sunday I mounted my blue Volkscycle and rode inland up Yaquina Bay, to Toledo, and back. I rode this bicycle whenever I could, leaving my funky Datsun 510 truck in the carport most of the time. After a while, I began to realize that the Volkscycle might not be the best bicycle out there for me. There was no internet at this time, so my knowledge came word of mouth talking to other cyclists, some of whom were part of the 1976 BikeCentennial. 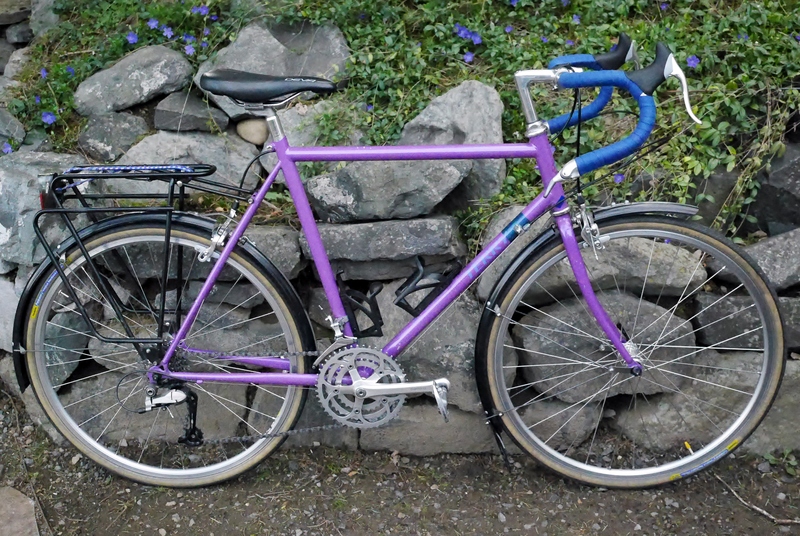 Later, I acquired my 1976 Centurion Pro-Tour – a bike which really defined my cycling experience. 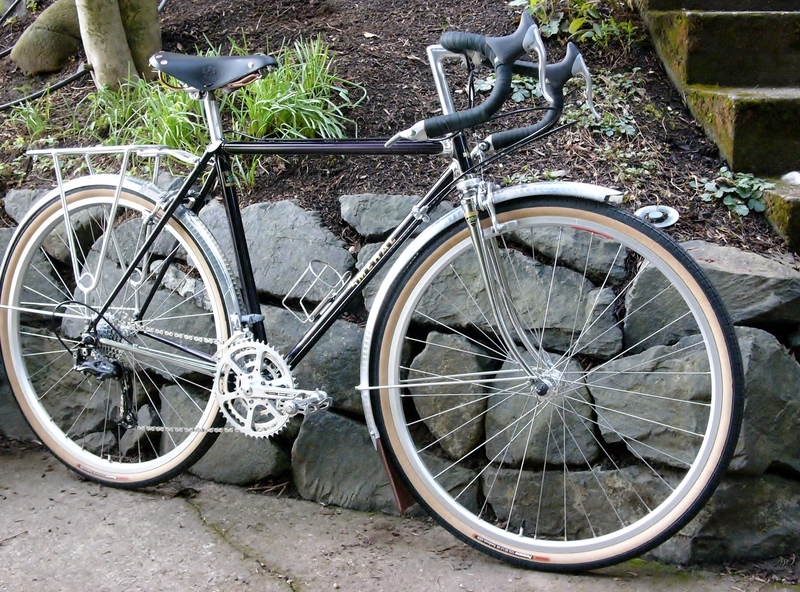 The frame was “too big” for me, and yet I toured all over the Pacific Northwest on this amazing bicycle. I crashed it back in 1999, and that is what prompted a life long search for an equal partner. But that never happened. Instead, I ride on several bicycles regularly. I have never found my one true love – the bicycle of my youth which comported me over miles of challenging terrain. I don’t know what to think about why that is – but the upside is that I now enjoy riding a number of wonderful and interesting machines. 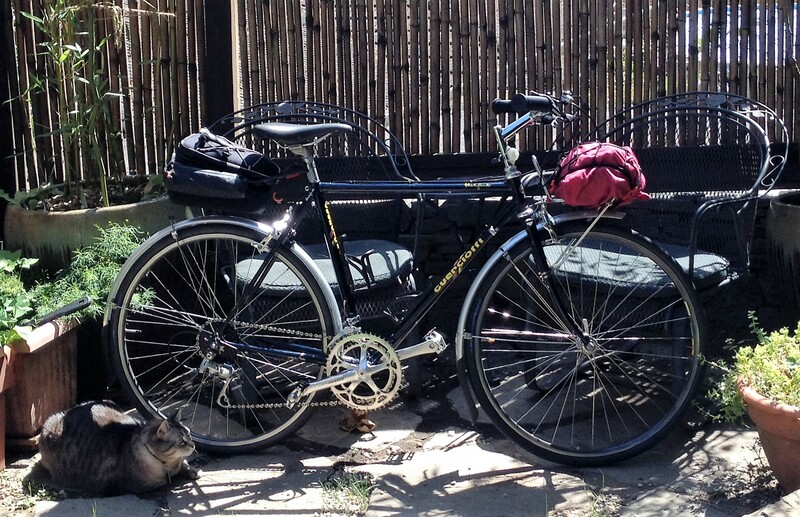 This entry was posted in Bicycle history, Bicycle restoration, Raleigh bicycles, Terry Bicycles and tagged Centurion Pro-Tour, Panasonic MC 7500, Raleigh bicycles, Terry Symmetry, Volkscycle by Nola Wilken. Bookmark the permalink. In 1974 I was 10 years old and riding my brothers hand me down Schwinn Typhoon, a single speed tank. In my teens my folks purchased a Huffy 10 speed for me which may explain my 20 year hiatus from biking. I missed a lot of cool bikes in the late 70s and into 80s but I am trying to make up for it now – I own 3 bikes from that era. I hope you find that “one bike to rule them all” again someday. Great story! I think many youngsters were encouraged away from cycling due to the very bad offerings in the U.S. during the 60s and 70s. Hopefully, many will be enticed back. I also think that ebikes are a part of the answer for some riders, and especially for older cyclists who got away from the sport as adults, but want to return for health and environmental reasons. Great story, Nola. Growing up, my three older brothers and I always rode single-speed balloon-tired bikes, mostly on dirt roads around our farm, and occasionally on the paved road by our house. When my oldest brother came home from college, he let me ride his Schwinn Varsity. I was intrigued, although the gears shifted only with great difficulty. When it was time for me to head off to college in 1973, I went to the local bike shop, expecting to buy something similar. The salesman talked me into buying a Motobecane Mirage, which was maybe $20 more than a Varsity. And it was French, for crying out loud. 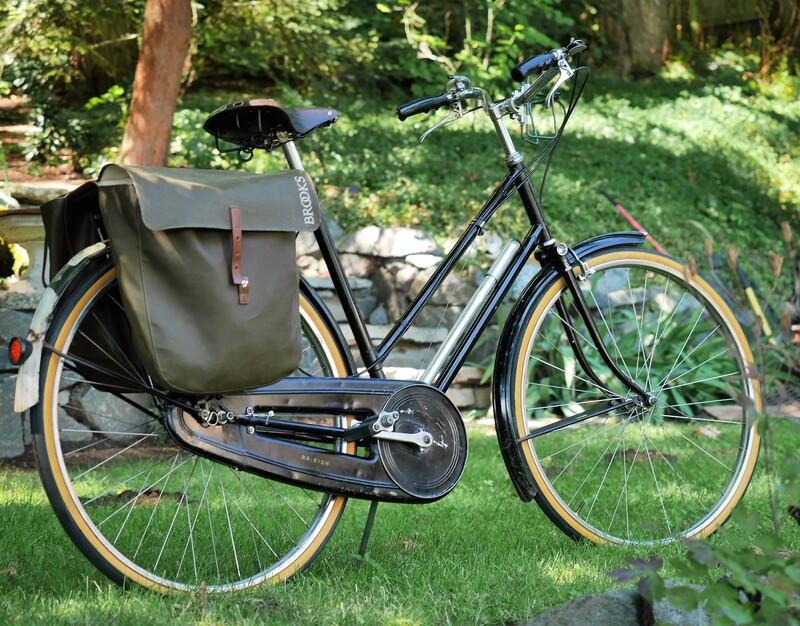 With its cottered cranks and lugged frame, it was a good 10 pounds lighter than the Varsity. It seemed so much zippier, and I was hooked after a 3-block test ride. After a few miles riding with friends who had nicer bikes, however, the Mirage’s shortcomings became apparent. Before long I swapped out the steel rims for alloy and ditched the suicide brake levers, the stem shifters and the steel chainguard on the crankset. I also kicked myself for not spending a few more dollars on a nicer bike. My second bike was a Raleigh Super Course. It was a definite improvement, and over the years I’ve put many thousands of miles on it. It’s now my fixed gear bike, and I still enjoy riding it around town. Alas, I’m planning to set it free. My basement and storage shed are overflowing, with many bikes to rebuild before I sleep. Love this story. Thank you, Tom. U.S. cyclists were often kept in the dark about the cycling the innovations which France, Italy, Spain, and the U.K. already knew. Glad you had this insight so early in your days. Joe, thank you for sharing your story. There are many ways to become a cyclist, but I love especially the tales of lifelong cyclists. Here’s to many more miles. My first drop bar “road” bike was a Varsity for Christmas in 1970. My father spent the extra dollars on a Schwinn because it was indestructable, and less expensive in the long run than repairing and replacing cheaper bikes . That bike was trouble free. I rode everywhere on it. It allowed me to enjoy greater freedom and independence, while taking on the responsibility of keeping up with it’s maintenance. I loved it, and became hooked on cycling. 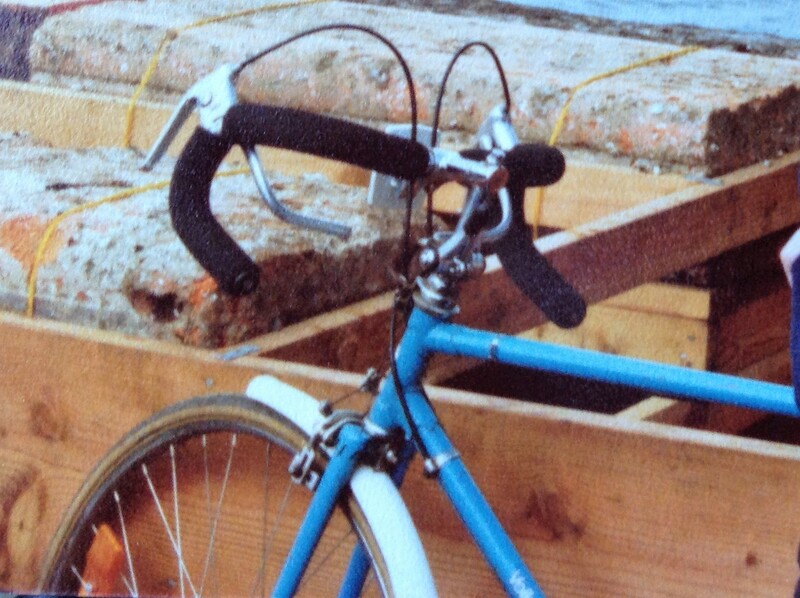 I then moved on to a Fuji Special Road Racer in the mid-70s. That bike gave me greater range. I began taking much longer rides, and really got to appreciate the simple joys of cycling. It’s pragmatic and environmentally friendly. Giving you the means to go places without the need for gasoline, providing great physical exercise, and not necessarily expensive for a college kid at that time. I still love cycling for the same reasons, and can add another one. As long as you are physically up to it, you can keep on riding as you age! Thank goodness for that!